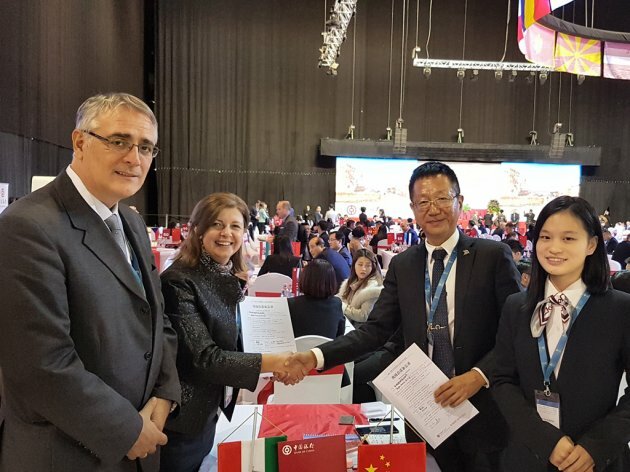 The Belgrade-based company EurologSystem has announced that it realized several agreements on establishing cooperation and coordinating activities related to the import of Chinese products to the market of Serbia and the region at the recently held “2017 China-CEEC Matchmaking Event” in Budapest, organized by the Bank of China. One of the partners they agreed cooperation with is Changzhou Transcend. As stated in a press release by the company, which was the only transport and logistics company from Serbia at the forum, this B2B event dedicated to connecting businessmen from China and 16 European countries of central and east Europe was attended by more than 300 companies from 16 European countries and over 100 companies from China. The central event in Budapest was the sixth meeting of the prime ministers of CEE countries and China, and the 7th Business and Commerce Forum and the business B2B forum “2017 China-CEEC Matchmaking Event”. As the press release reminds, the trade between China and CEE countries increased from EUR 32 billion in 2009 to EUR 60 billion in 2016. At the same time, Chinese investments in infrastructure rose from EUR 400 million in 2009 to over EUR 3 billion in 2016.